The terror threat from ISIS is reaching new highs and cutting police budgets could cost lives, Sadiq Khan has warned. The London Mayor said the danger of attacks in the capital had risen since he entered city hall last May and keeping people safe was becoming ‘increasingly difficult’. Terrorists can follow every movement of the Prime Minister’s official aircraft live by using a mobile phone app, The Mail on Sunday can reveal. The astonishing security lapse made Theresa May ‘a flying target’ as she arrived in the terror hotspot of Turkey from Washington last week, experts warned. The exact location of the aircraft, dubbed ‘May Force One’ – along with its height, direction and speed – was broadcast online as it came into land in Ankara, the site of repeated terrorist attacks. Last night, experts called for the transponder – the on-board device that broadcasts its location – to be switched off, as is the case with the US President’s Air Force One jet. Chris Phillips, the former head of the National Counter Terrorism Security Office, said: ‘This is perfect information for a would-be terrorist. They should have turned off the tracker on the plane. It is ridiculous and irresponsible that this information is publicly available. National Crime Agency has arrested a Swedish woman and a British man for hacking CCTV Cameras with ransomware malware. A man suspected of attacking four soldiers outside the Louvre in Paris posted pro-ISIS tweets moments before it happened yesterday morning, French investigators believe. Detectives are probing the Twitter account of Egyptian national Abdallah El Hamahmy, who is believed to have arrived in France eight days before the attack. 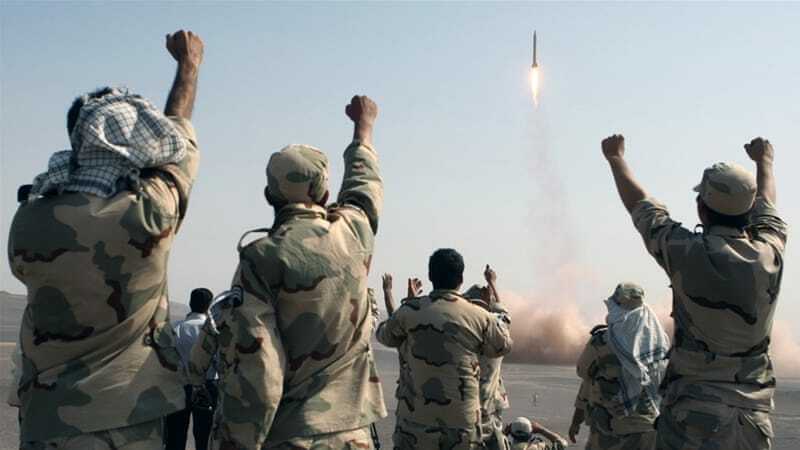 In apparent defiance of the new sanctions imposed by the Trump administration, Iran held a military exercise Saturday to test missile and radar systems. The aim of the exercise, held in Semnan province, was to “showcase the power of Iran’s revolution and to dismiss the sanctions,” Iran’s elite Revolutionary Guards website said, according to Reuters. 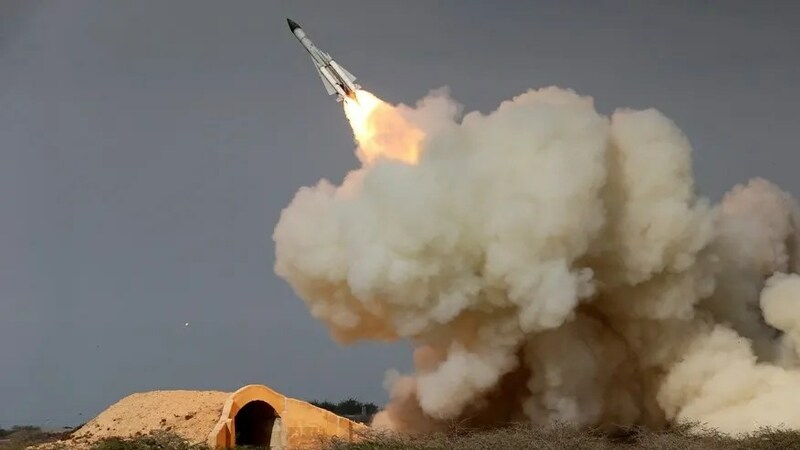 During the exercise, a senior commander of Iran’s Revolution Guard said the country’s missiles will come down on the country’s enemies if they do wrong. “If the enemy does not walk the line, our missiles come down on them,” Gen. Amir Ali Haijazadeh said. It depicts a cartoon figure of Trump with a bloodied knife in one hand and the statue’s head, dripping with blood, in the other. It carries the caption: “America First”. The cover set off a debate on Twitter and in German and international media, with Alexander Graf Lambsdorff, a member of Germany’s Free Democrats (FDP) and vice president of the European Parliament, describing it as “tasteless”. Petraeus: ‘Moral Obligation’ to Allow Iraqi, Afghan Translators Into U.S. Retired Gen. David Petraeus said Friday that the United States has a “moral obligation” to provide local translators who have aided the U.S. military abroad a path to the United States. Petraeus made the remarks on the Special Immigrant Visa program for local translators in Iraq and Afghanistan who have aided the U.S. military amidst backlash over President Donald Trump’s executive order on immigration. Two people, including the chief of the Lugansk People’s Republic (LPR) Militia Office, were killed in a car blast in the republic’s capital, Lugansk. The Lugansk People’s Militia says the blast was a terrorist attack carried out by Kiev’s secret services. “The chief of the LPR People’s Militia Office, Colonel Oleg Anashchenko, has died today in a terror act,” Major Andrey Marochko, the department’s representative, said at a press briefing on Saturday, as cited by RIA Novosti news agency. “Presumably, the terror attack was committed by Ukrainian special services aiming to destabilize the situation in the republic [of Lugansk],” Marochko added. TERRORISTS in eastern Aleppo stitched grenades to children’s dolls in the final days before the city was wrenched back into Syrian government control. Dozens of booby-trapped toys have been found under the wreckage of the one of the city’s buildings — levelled by Russian warplanes and troops loyal to dictator Bashar al-Assad. 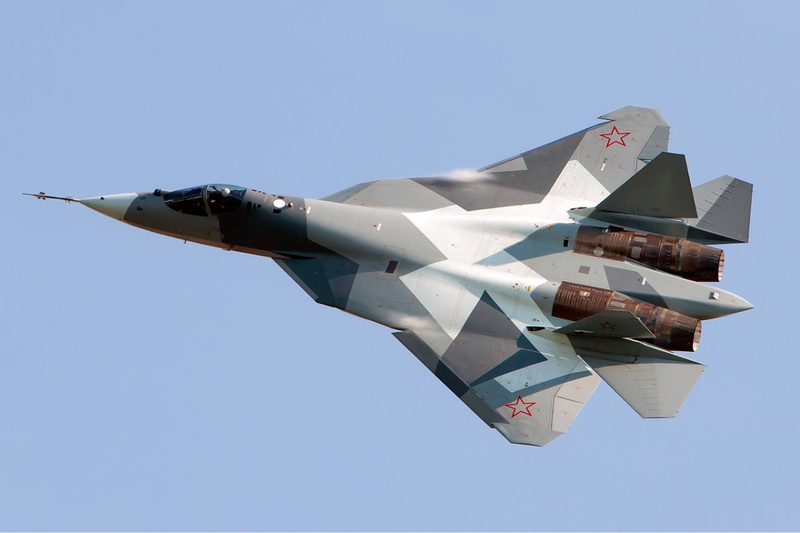 A SENIOR Islamic State jihadi has been wiped out after a devastating airstrike in eastern Iraq. The depraved killer, nicknamed Abu Suhaib, was obliterated in the strike which targeted the region of Mutaibija as two of his sick associates were also injured in the blast – according to local sources. 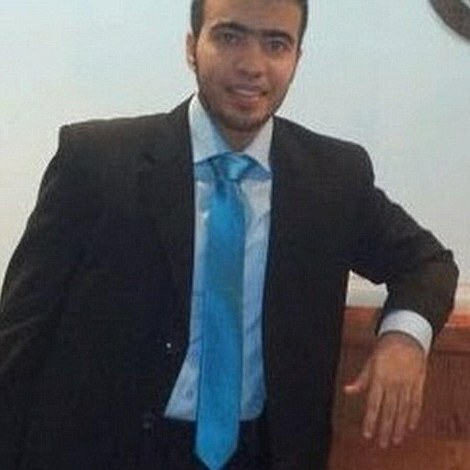 Sahib is said to be the son-in-law of the terror cell’s “emir” or governor of the Hawi al-Udhaim region in Iraq. Defense Secretary James Mattis slams Tehran hours after the Trump administration announces fresh sanctions. US Defense Secretary James Mattis has called Iran the world’s biggest state sponsor of terrorism, hours after the Trump administration announced fresh sanctions on the country following a recent missile test. “As far as Iran goes, this is the single biggest state sponsor of terrorism in the world,” Mattis told reporters in Tokyo on Friday, before adding that he saw no need to increase troop numbers in the Middle East in response. A researcher studying disaster medicine at two European institutes has been sentenced to death in Iran, apparently for security-related offenses. Iranian-born Ahmadreza Djalali, a scientist at the Research Center in Emergency and Disaster Medicine (CRIMEDIN) at the University of Eastern Piedmont in Novara, Italy, and the Free University Brussels (VUB), was arrested more than 9 months ago on still-unknown charges and has been imprisoned in Iran since then, most of the time in solitary confinement and without access to a lawyer. VUB announced the sentence in a statement on its website today. Colleagues, convinced of Djalali’s innocence, say they are trying everything they can to prevent his execution. A petitionset up by Hakan Altintas, a supporter in Turkey, asks the Iranian government to let Djalali come home; friends and colleagues are also raising awareness about his case on a Facebook page. “Ahmadreza is passionate about science,” says Ives Hubloue, the head of VUB’s Research Group on Emergency and Disaster Medicine. “He’s not interested in politics. We don’t believe he would do anything at all” to undermine the Iranian government. 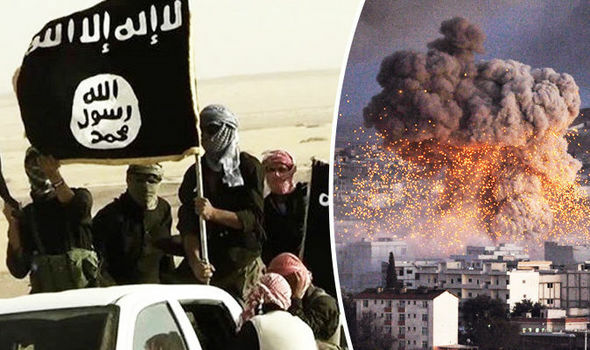 The operation to recapture the Syrian city of Raqqa from the Islamic State terror group will be doomed if the Kurdish forces lose the possibility to take part in it, the representative of the Iraqi Kurdistan Regional Government in Russia told Sputnik. MOSCOW (Sputnik) — On Thursday, The Washington Post reported, citing sources, that the Trump administration dropped plans by former President Barack Obama to arm Kurdish fighters in northern Syria in a push to recapture the city of Raqqa from Daesh. “I have not been informed yet on this decision, if it really was taken. These could be just statements from some individuals, not an official decision. But if this is true, if the Kurds do not take part in Raqqa liberation any longer, it will be much harder to complete the liberation operation. The Kurds are now the main force,” Aso Jangi Talabani said. He added that a few days ago the Kurdish fighters helped to liberate several villages in the direction of Raqqa. Japanese Prime Minister Shinzo Abe attending a budget committee session of the House of Councillors in Tokyo on May 13, 2016. Japan is putting together a package it says could generate 700,000 U.S. jobs and help create a $450-billion market, to present to U.S. President Donald Trump next week, government sources familiar with the plans said. The five-part package, to be unveiled when Prime Minister Shinzo Abe visits Trump on Feb. 10 in Washington, envisage investments in infrastructure projects such as high-speed trains and cybersecurity, said the sources, who declined to be identified as they were not authorized to speak to the media. 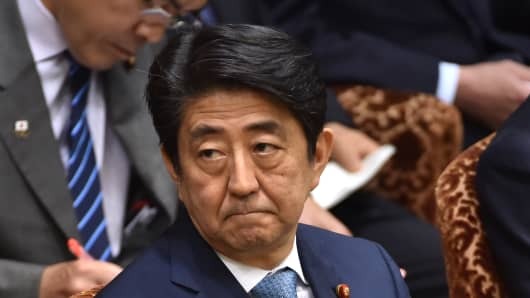 Investing in overseas infrastructure projects dovetails with a key plank in Abe’s growth strategy, which is to export “high-quality” infrastructure technology. Older Chrome versions will redirect to Gmail’s basic HTML website by December. If it’s been some time since you’ve updated your Chrome browser, you might see a banner at the top of Gmail’s interface on February 8th. It’ll contain a reminder to update to Chrome version 55 from 53 and below, since the newer iteration comes with several big security updates. That banner will go away after you update — unless you’re still using Windows XP or Vista. Google stopped releasing Chrome updates for those two after version 49, since Microsoft no longer supports its older Windows platforms. So, what will happen if you don’t — or can’t — update Chrome? Well, Gmail will work like usual throughout 2017. Sometime in December, though, you’ll start being redirected to the basic HTML version of the email service and will be more vulnerable to security risks. Google says the best thing you can do is upgrade and ditch XP or Vista ASAP. South Korean special prosecutor officials withdrew from the presidential Blue House on Friday after it blocked them from searching offices there, in the latest twist in a corruption scandal that has gripped the country for months. Park was impeached by parliament on Dec. 9 on suspicion of colluding with a long-time friend, Choi Soon-sil, to pressure big business to donate to two foundations set up to back the president’s policy initiatives. Park is also accused of allowing Choi to exert inappropriate influence over state affairs. Both of them have denied wrongdoing. The special prosecution office has not explained why it needs to search the Blue House, saying only that it would be done in connection with its investigation. Japan could invest in a small arsenal of land-based missiles, each carrying one or more nuclear warheads. The missiles could be stationed in hardened silos, like the American Minuteman III, or on mobile launchers like the Russian RS-24 Yars. A Japanese ICBM would be smaller, not needing the range and fuel to reach North America. The ability to reach all of China, European Russia and the Middle East would be sufficient. It is perhaps China’s greatest nightmare: a nuclear-armed Japan. Permanently anchored off the Asian mainland, bristling with nuclear weapons, a nuclear Japan would make China’s security situation much more complex than it is now, and force China to revise both its nuclear doctrine and increase its nuclear arsenal. TAIPEI (Taiwan News) – The Centers for Disease Control said Saturday they were looking for 108 people who came into contact with a 69-year-old Kaohsiung man who brought the H7N9 bird flu back from China. The man reportedly contracted the disease during a stay in Guangdong Province for his work in late January. He visited a doctor in China after showing symptoms such as fever, but returned to Taiwan on January 25. Tests at a local hospital the following day concluded he did not have fever, and after being administered antibiotics, he was allowed to return home on the condition he kept watch on his condition, reports said. On January 29, he felt feverish again, while he also had to cough and showed breathing difficulties. A second hospital visit led to a verdict of pneumonia, but it was a new test which finally concluded on February 1 that the man had contracted H7N9, reports said.